Four out of five drivers suffer "crash anxiety"
Four in five motorists say they are worried about driving and suffer "accident anxiety" according to a new survey. Fleet News reported the results of the survet by Allianz Insurance, which found stress is mostly caused by tailgating (45%), being on the receiving end of road rage (41%) and uninsured drivers (29%). In fact, anxiety is such an issue that 17% of drivers have opted out of making a journey altogether. 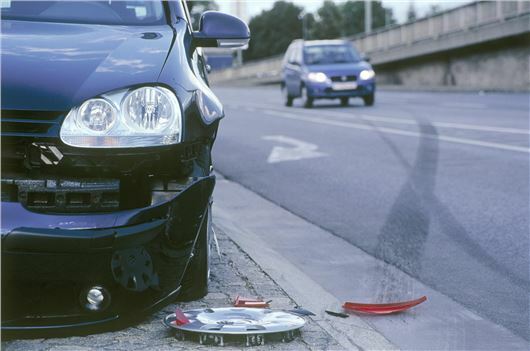 The research also reveals that 81% of the 1,000 drivers surveyed had been involved in a non-fault accident. And, after experiencing a collision, one in five motorists (22%) revealed that they feel more worried, more stressed and less confident behind the wheel. The survey also suggests that an accident is more likely to affect women’s driving style (27%) than that of male motorists (17%). However, just 7% of respondents thought that more driver training would solve the problem. Jon Dye, CEO of Allianz Insurance, said: “It’s worrying to see that so many motorists feel they will have an accident, and yet so few feel more driver training would help. The survey results show drivers aged 35 to 44-years-old are the most affected by accident anxiety (83%). James Gibson, of Road Safety GB, said: “Actions like tailgating and aggressive driving behaviour can be particularly intimidating. “Motorists need to find ways of coping with the actions of others when they get behind the wheel. The best advice is not to react to the aggressive and inconsiderate behaviour of others as this can cause a collision. “If you are being tailgated it is best to recognise that some drivers are intent on overtaking and the best way to deal with this is to simply allow them to pass when it’s safe to do so.